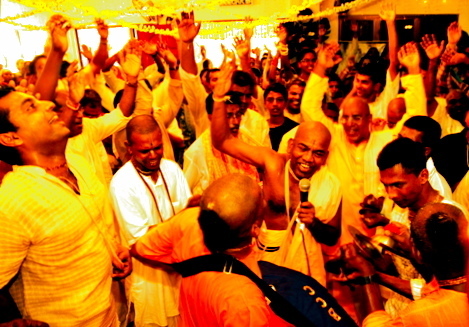 All the music on Krishna.com is by Krishna devotees. Some are traditional kirtans or bhajans (songs of worship and praise in Sanskrit, Bengali, or other languages of the Indian subcontinent). Others are in the native language of the devotee-artists— whether from North or South America, Europe, Africa, or Australia—expressing their own spiritual realizations and appreciations of Krishna’s teachings. We’ve assembled samples from as many styles of Krishna-related music as we could find. You’ll find dance groove music, American country-rock, orchestral jazz-influenced bhajan, as well as a full spectrum of moods and manifestations of traditional Hare Krishna kirtan.